With over 80,000 foreigners living and working in Vietnam, as well as increasing numbers of Vietnamese working and studying abroad, more mixed-nationality and expat couples are opting to tie the knot on Vietnamese soil. In addition to the local wedding market, the growing trend for ‘destination weddings’ means that plenty of international couples who are not resident in Vietnam are also choosing to celebrate their special day in the country. Vietnam offers beautiful landscapes at a relatively affordable price—whether it’s a beach, mountain, city or rural backdrop, considering the escalating costs of weddings globally. If a foreigner is getting married to a Vietnamese national, there is quite a bit of documentation to prepare for legal marriage registration. Unfortunately, this paperwork is not as straightforward as it could be, with all documents needing to be translated into Vietnamese and certified, before being submitted to the Department of Justice in Vietnam. There may be slight variations depending on the nationality of the foreigner so it’s best to check the exact requirements with the Vietnamese embassy or consulate in your home country. For two non-Vietnamese people considering getting married in Vietnam, this is only possible if at least one of the couple has either a permanent or temporary residency permit in Vietnam. If neither person has a residency permit, then they will need to marry in their home country or in a nearby country with more relaxed rules such as Malaysia or Thailand. If you are living in Vietnam, you can always have a blessing, ceremony or celebration locally after you’ve married elsewhere. Once the documentation is arranged, it is then possible to have both a religious or civil wedding ceremony in Vietnam. A civil ceremony takes place at the local Department of Justice, whereas a religious marriage can take place in a church, temple or other venues such as a hotel. According to The Planners, a premium wedding planners and consultancy in Vietnam, mixed-nationality couples tend to plan smaller celebrations than their local counterparts. An average Vietnamese wedding hosts more than 400 guests, whereas mixed couples often prefer around 100 guests. This difference in customs relates back to the cultural values attached to weddings: in Vietnam weddings are seen are large extended-family affairs, with the parents’ guests often dominating half the list, in contrast to the typically Western preference for a more private, intimate celebration with closest friends and family. To address this difference, many mixed-nationality couples choose to have two separate weddings, one adhering to Vietnamese customs and one more traditionally ‘Western’ in style. The Planners also disclose that mixed-nationality or international couples are more inclined towards the ‘destination wedding’ trend, with al fresco beach ceremonies in Danang, Nha Trang and Mui Ne proving popular. Other Western wedding customs have now become the norm, such as exchanging vows—which was not traditionally part of a Vietnamese wedding before. Despite some differences in customs, most mixed-nationality couples do want to maintain certain important Vietnamese wedding traditions in dedication and respect to their spouse’s Vietnamese family and culture—particularly the ceremonies involving collecting the bride from her family home. Ho Chi Minh City provides good options for couples looking for the perfect wedding outfits, particularly for those wanting something tailored from scratch. If you’re looking for something unique, Danish designer Elisabeth Rolskov offers bespoke couture bridal gowns. ER Couture does not copy existing designs, but Elisabeth will work with her clients to conceive their dream wedding dress, adding little details that reflect the personality of the bride. If you are in need of some inspiration or are looking for existing designs, Sue Ann Bridal in District 1 sells the collections of high-end international designers such as Ronald Joyce, Mori Lee and MGNY, as well as bridesmaids’ dresses and bridal accessories. You can also browse the overwhelming number of bridal shops lining Ho Van Hue in Phu Nhuan district, where hundreds of extravagant gowns are available to buy or rent. For a mid-range option, Cee’s Bridal is a local contemporary bridal-wear brand selling and leasing its beautiful collection as well as offering custom dress designs. For grooms, Dung Tailors in District 1 can create a wide range of tailored suits and offer plenty of choice in terms of fabrics, linings and cut. The best way to scope this tailor is to visit the shop for a consultation and to review fabrics. The tailor will need to take measurements and perform several fittings, but a suit can be made from scratch in around four weeks. Bridal hair and makeup is also very affordable in Ho Chi Minh City: Trang Phan’s team of hair stylists and makeup artists will work with clients to get the perfect look on their wedding day. For couples opting to hold their celebration at a hotel or restaurant, normally there will be an in-house events team to take care of the planning, concept and execution of your wedding day. If you are looking for some additional support or plan to hold your wedding in a less conventional venue, you may want to hire a wedding planner. There are several good Saigon-based events and production companies, including The Planners and Bliss. There are countless beautiful spots across Vietnam to hold a wedding, from luxury beach resorts to mountain retreats. If you’re getting married in Ho Chi Minh City the options may be a little more limited, but there are a number of interesting wedding venues in Saigon. The first place to start may be some of Saigon’s major hotels with large event spaces. Larger weddings are regularly held at Lotte Legend, InterContinental, The Reverie, Le Meridien, PARKROYAL, Sheraton Saigon Hotel and Towers or Pullman Saigon Center, while for a more private affair we would suggest The Myst Dong Khoi or New World Saigon Hotel. If you are looking for a convention center rather than a hotel, try The Adora Dong Phuong Group. They have reception rooms all over Saigon, which can accommodate even the largest of celebrations. Those who seek a peaceful, rural setting close to the city centre should check Binh An Village, which hosts events in its 12,000sqm of garden space. An Lam Retreats Saigon River is another al fresco riverside setting with plenty of space and a professional team to support the celebrations. Another unique wedding venue can be found at Villa Song, a French colonial-style villa and luxury boutique hotel in Thao Dien. There are several restaurants that would also work well for a wedding, such as The Deck in District 2, a large, stylish space overlooking the river. If you’re looking to embrace Vietnamese customs, then you will want to do the ubiquitous pre-wedding photo shoot. Many couples choose to have their photos taken before the actual wedding day, posing against a scenic backdrop and dressed in their full wedding gear. There is plenty of choice when it comes to wedding photographers in Saigon: Khoi Le Studios is a boutique company of four wedding photographers, based in Ho Chi Minh City and available to shoot weddings across Vietnam. Mervin Lee is an independent photographer from Singapore with years of experience shooting both Asian and western weddings and also one of City Pass Guide’s favourite contributors. We all have the same amount of time so why does it seem that some people are able to get more out of their day. Believe it or not, they have learnt the skill of how to properly manage their time to build their effectiveness. You too can learn this valuable skill and no matter how long you’ve been in the workplace, it’s never too late to learn. - Specific (clear and concise). - Measurable (the ability to track your progress). - Achievable (challenging yet attainable). - Relevant (set goals that are relevant to your overall plan). - Time bound (goals should have a target finish time attached). Tim Cook, the COO of Apple said “We are the most focused company that I know of or have read of or have any knowledge of. We say no to good ideas every day. We say no to great ideas in order to keep the amount of things we focus on very small in number so that we can put enormous energy behind the ones we do choose.” Like Apple’s success, you too can achieve amazing results on focusing your efforts and doing a good job on those things you decided to do and eliminating unimportant opportunities. Keeping the amount of goals you have to less than three increases the likelihood that you will reach them all with excellence. Statistics show that those who have more than four goals are likely to achieve only 1 or 2 of them. If you have over 11 goals, you are unlikely to reach any. Learning to say ‘NO’ is a skill many successful people have mastered. Take billionaire Warren Buffett, for example. With all the demands on him, Buffett learned a long time ago that his most valuable resource is his time. He has mastered the art and practice of setting boundaries for himself. The mega-mogul once said, "The difference between successful people and really successful people is that really successful people say no to almost everything. 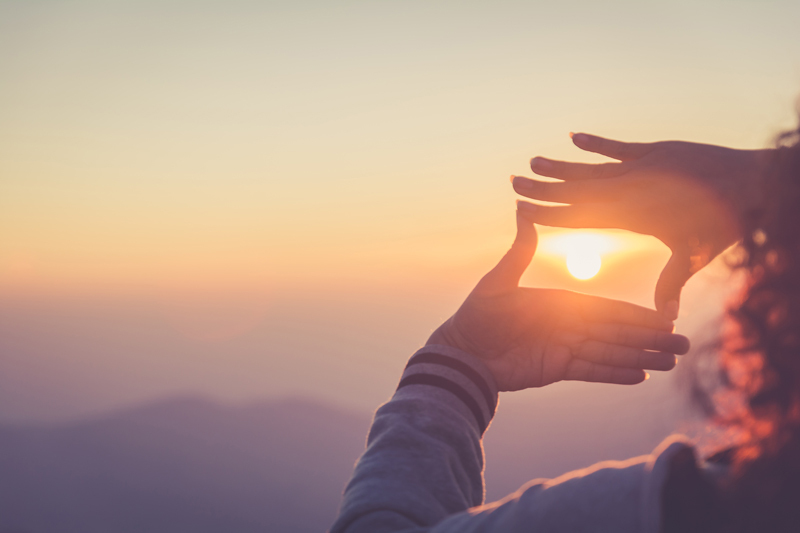 As a coach, I have found that much of my work is helping leaders work out what they need to stop doing in order to focus on their most important priorities. You may also want to start by looking at your schedule or to-do-list every day and for simplicity try to get down five tasks you need to accomplish. Using the principle you can probably eliminate the majority of the items on your list. It may feel unnatural at first but overtime this will condition you to scale up effort on the most important tasks. When it comes to managing your time, you may need to find out where your time actually goes. You may believe that you only send 30 minutes on emails, but in reality that task might be eating-up an hour of your day. The easiest way to keep track of your time is to download an app like RescueTime, Toggl or my app Calendar to track everything you do in a week. You can then find out what’s stealing your time and make the appropriate adjustments.I've found that setting a time limit to each task prevents me from getting distracted or procrastinating. if I don’t complete the task on time, I can still work on it without eating into the time reserved for something else. Virtual meetings - thanks to rapidly advancing technology, we have more and more choice on ways to run a meeting. Of course, to say that online meetings can simply replace all face-to-face meetings is unrealistic. Batching similar tasks together such as emails and phone calls. I know effective managers who schedule a specific time to handle these tasks such as late morning and towards the end of the day. I also plan my week to avoid wasting time waiting. If I do find that I have a delay, I make the best of it. For example, whist waiting I’ll read an inspirational book, listen to a podcast, or make those important calls. 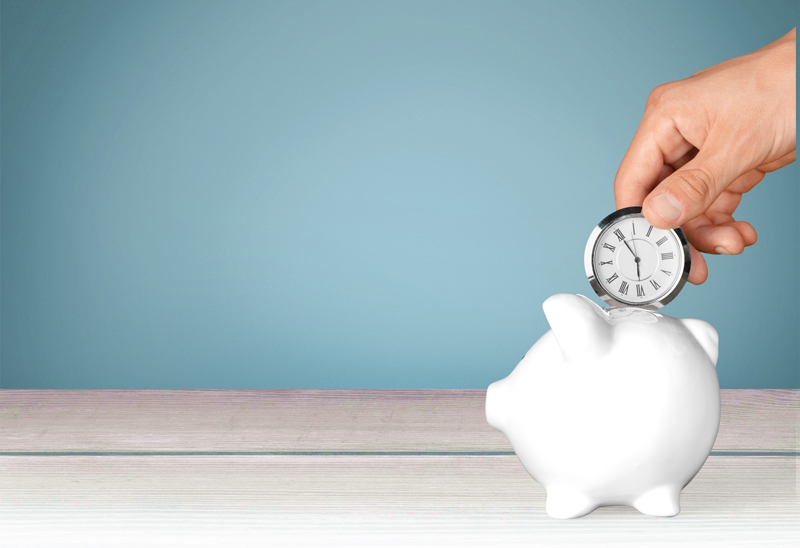 Delegation and outsourcing can get a bit difficult for some but are real time-savers since it lessens your workload - which means you have more time to spend on more important tasks. Either hand over responsibilities to team members who are qualified or hire an experienced freelancer. Time training will be worth-it in the end. Leaving a buffer-time between tasks and meetings can help performance. Jumping immediately from one task or meeting to the next may seem like a good use of your time, but it actually has the opposite effect. We need time to clear our minds and recharge. After all, the human brain can only focus for about 90-minutes at a time. Without that break it’s more difficult to stay focused and motivated. Scheduling buffer-time also can prevent running late to your next meeting. A lot of successful leaders spend time thinking on how they will achieve their priorities. 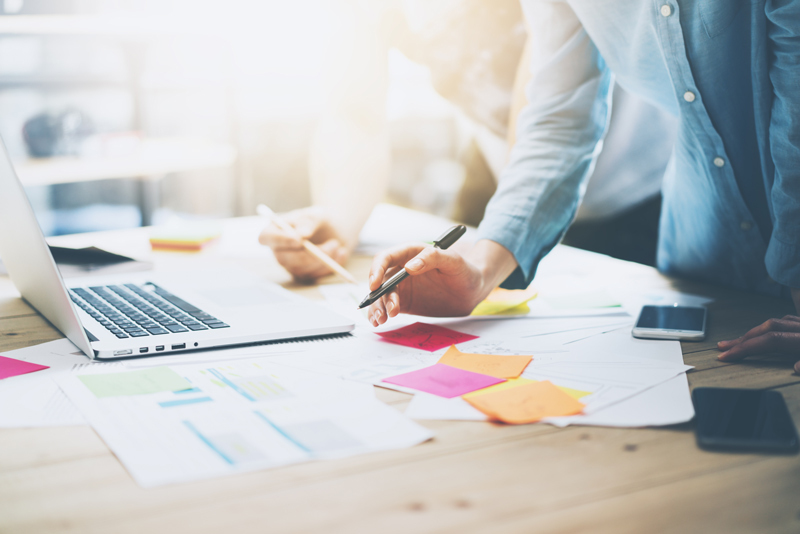 Spending time planning keeps you focused on your goals as well as giving you the opportunity to build contingency for a possible crisis and help you work out how to avoid interruptions. One of the worst things that you can do is wake-up without a plan for the day. Before leaving work for the day, spend the last 15-minutes organizing your office and composing a list of your most important items for tomorrow. During your morning routine write down the 3 or 4 most urgent and important matters that need to be addressed today and work on those when you’re most productive. Spend your mornings on your most important tasks (MIT’s). Mark Twain once said, "If it's your job to eat a frog, it's best to do it first thing in the morning. And If it's your job to eat two frogs, it's best to eat the biggest one first." Gross? Sure. But, the point that Twain was making that you should take care your biggest and most-challenging tasks in the morning, aka your most important tasks (MITs) of the day. There are a couple reasons why this is such an effective time management trick. For starters, you usually have the most amount of energy in the morning. So it’s better to tackle these tasks when you’re not drained. Also, you can use that feeling of accomplishment to get through the rest of the day. There is a reason why successful leaders exercise regally. Even a short burst of fun cardio activity works wonders, especially in the morning. This is because exercise releases endorphins, serotonin, and other happy chemicals in your brain. According to renowned psychologist Shawn Achor, the reason why exercise is so key to your morning routine is that it literally trains your brain to believe "my behavior matters," which then carries (positively) into other activities throughout the day. And for procrastinators, exercising when you least feel like it is when it does the most good. I use inspirational sources like a TED Talk or biography. It’s a simple way to reignite that fire to get me motivated and back-on-track. Change your schedule. If you’re reading this article then it’s obviously because you want to discover some useful time management skills. If you’re struggling with being effective, the solution may be as simple as changing your schedule around. For example, instead of sleeping-in until 6:30am, wake-up an hour earlier. Personally, I find 5:15am to be the most productive time of the day since it gives me time to exercise, plan-out my day, go through my emails, and even work on side projects without being disturbed. *Victor Burrill is an internationally certified coach, leadership trainer and is Chairman of the Business Executive Network Vietnam. For the next two months, you can head over to Estella Place and meander through a tidal wave of straws which started as trash picked off the streets and have been transformed into the cerulean brush strokes of a stunning visual masterpiece. This powerful public art installation entitled The Parting of the Plastic Sea (#Strawpocalypse for short) is the latest installment of esteemed visual artist Von Wong. Von Wong, Zero Waste Saigon, Starbucks Vietnam, and property developer Keppel Land joined forces to bring the installation to Ho Chi Minh City. The debut is the latest in a recent string of waste awareness events in Ho Chi Minh City dedicated to addressing the problem of single-use plastic waste. 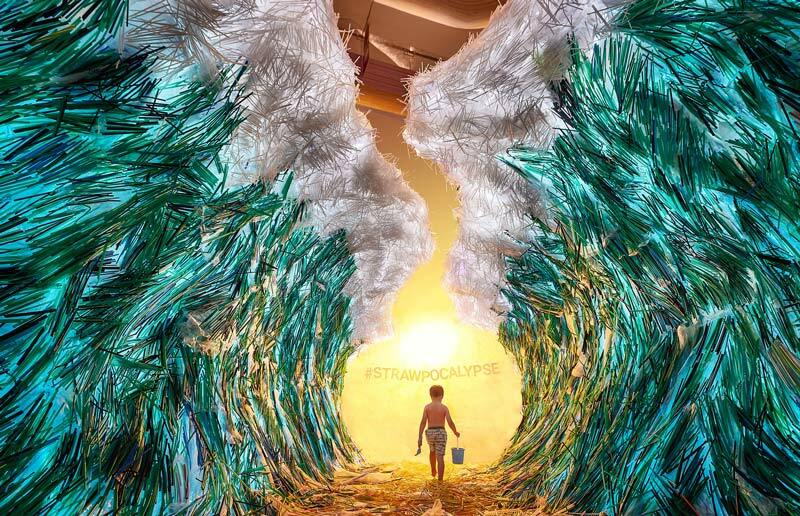 A Canadian international with a global influence, Von Wong is a contemporary visual artist, photographer, and environmentalist known for transforming waste into dramatic imagery that challenges viewers to feel, think and act. He chose Saigon as the home for his latest masterpiece: a trash tsunami of epic proportions. 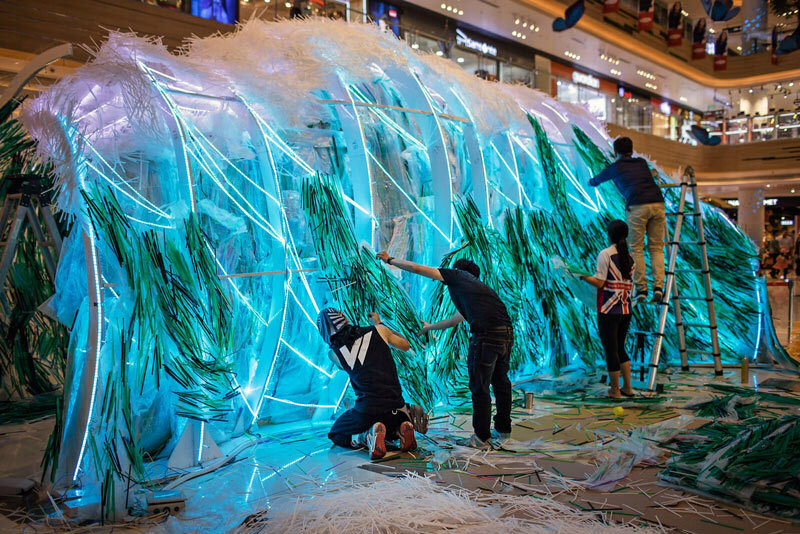 The sculpture is a life-size mosaic of carefully placed plastic straws comprising two 4-metre-high furling waves of blue and green capped with a white plastic seafoam. A trail of orange and yellow beckons onlookers to journey amidst the parting waves and creates an illusion of being swallowed whole by a sea of plastic. Von Wong encourages people to go and experience the art in person and share it with as many people as possible. Collaboration is key to all of Von Wong’s epic work. He worked closely with Michael and Julia Burdge, founders of Zero Waste Saigon (ZWS), and a power couple in Ho Chi Minh City’s grassroots fight against plastic waste in Vietnam. Julia has been a long time fan of Von Wong’s work and reached out for a possible collaboration in April of last year. As two fiery individuals with a passion for change, they immediately connected. ZWS got to work organizing clean-ups around Vietnam and getting local businesses and organisations on board, while Von Wong went into the lab to cook up this epic piece. Fast forward nine months and Von Wong touched down to hundreds of volunteers who helped donate, collect and hand-wash thousands of straws and heaps of plastic packaging. He worked with local builders and electricians to construct and hardwire a LED infrastructure and turn the amassed refuse into vibrant waves. Hosted by Keppel Land’s Estella Place Mall and funded by Starbucks, volunteers came from the community and local schools such as the British International School, American International School and German International School. Plastic waste is an issue of global concern. As Vietnam is in the top 4 polluters of ocean plastic in the world what is done or not has far-reaching implications. Therefore, it’s everyone’s responsibility to engage with this issue. Creative visionaries like Von Wong tap into their imagination to educate people in visceral and captivating ways that statistics and numbers alone cannot. The Parting of the Plastic Sea without a doubt accomplishes that. For the evolving environmental movement in Ho Chi Minh City, to have the endorsement and contributions of such a renowned artist and be given a platform to collaborate, share, feel and engage with a spirit of creativity is a vital aspect in getting people to care and fight to find solutions. I’ve been asked several times just how badly Vietnam’s hospitality business was affected by problems resulting from the East Sea dispute with China. From the investor’s point of view, it is much worse than most people realize. Vietnam hospitality was poised to have a huge year. At first it did not look so bad; at least from an outsider’s perspective. When the tourism numbers were announced at the end of May the Vietnamese media reported the East Sea dispute was not having much of an impact since the number of Chinese arrivals was still up 30% for the month compared to the year before. People in the business handling the thousands of cancellations and seeing the empty rooms didn’t believe the numbers. But those numbers included the first half of May in which Chinese arrivals were most likely up around 50%, meaning the second half of the month experienced a precipitous drop. Another factor leading to a lack of understanding of the impact was how VNAT reports statistics. Monthly international inbound statistics are released around the 25th of the month-meaning they estimate the final few days using data from the entire month. As the summer wore on it became very apparent to everyone that the East Sea dispute had significant implications for tourism. Vietnam’s inbound growth rate began sinking like a ship taking on water; steadily dropping from 27% in April to 10% by the end of September. Still, most media didn’t recognize or didn’t report the real damage of opportunity costs. In 2013, more than a quarter of all international visitors to Vietnam were Chinese. The Chinese market is bigger than the next three countries combined. Of course many of those visitors cross the northern border to trade, but that proportion has been decreasing. China’s burgeoning middle-class’s economic influence on Vietnam is hardly surprising as most countries throughout the world are experiencing large growth in the number of Chinese inbounds. China's government is also aware of the flow of outbound riches and it is well equipped and prepared to stop this flow to meet political objectives. What is important to understand and very few people have noticed, is that the growth rate in Chinese arrivals to Vietnam is not only growing, but the growth rate is growing as well. In calculus it’s called the second order derivative; in real life it is called accelerated growth. When estimating how many tourists Vietnam lost, we must forecast the regular growth plus the additional amount from increasing growth rates. For the first four months of 2014, Chinese increased 48% from the previous year. This growth rate was accelerating at about 1.5% per month, which means if we had forecasted Chinese arrivals back in April, we’d have come up with this prediction. That's over 450,000 visitors that should have arrived but didn’t. If the average stay is over 4 nights with double occupancy,we are discussing a million room nights lost in five months.Like rotting fruit, that inventory is lost forever. Developers and investors were anticipating growth in the Chinese outbound market and instead it suddenly shrunk dramatically. This is not the first time the Chinese Government has used its outbound tourists as an economic weapon against another country. In May 2012, they advised travel agencies (many which are state-owned) to cancel tours to The Philippines because of protests at the Chinese embassy in Manila. They lifted the ban several months later and Chinese arrivals to The Philippines increased by 70% in 20132. That would seem to indicate the Chinese travelers will come back rapidly once relations begin to normalize. 2: The Chinese government re-instated its travel warnings to The Philippines last month. After redesigning its news feed personal accounts last week, Facebook announced that it will roll out a new look and feel for business pages. This affects the Online Reputation Management (ORM) service that we at City Pass provide to premium clients in the Travel and Hospitality sector in Vietnam; therefore we should take these changes into consideration to get the best out of the new features. The remake means good news to all users of this platform. Even Facebook calls this new appearance a more ‘streamlined’ look. The new design includes two columns similar to the old version, but the right column is now the Page’s timeline while the left includes information about the brand or business (e.g., map, business hours, phone number and website URL). Previously, both left and right columns used to display posts as users would scroll down the page. 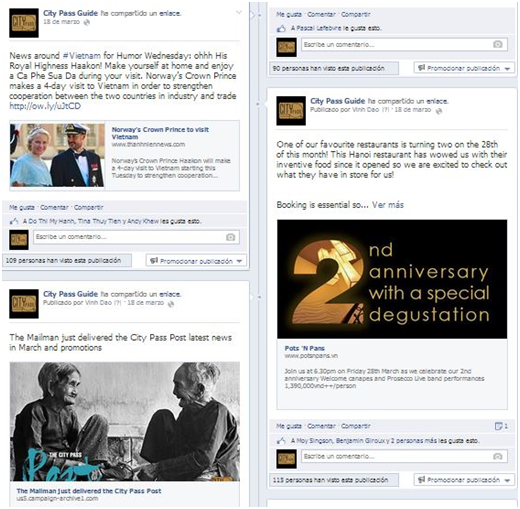 The redesigned layout comes with several changes for City Pass's Social Media management services – part of our ORM package – as Page admins. Stats such as page likes, the number of ad campaigns, post reach impressions, and notifications will appear in a tool bar in the right column. Therefore, administrators now have this information readily available in one place without having to navigate through numerous menus. The new appearance actually makes the desktop version look more like the mobile version. This offers a more unified experience for your visitors no matter what device they’re using to follow your feed. Additionally, the ‘face makeover’ comes less than a week after Facebook updated the look for news feeds. This is a fairly minor change that includes larger photos and new icons and fonts. 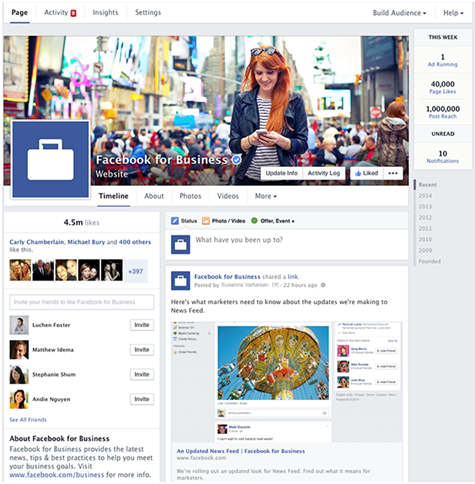 How do you like Facebook’s latest redesigns? Do you think they will achieve their primary goal in improving the user’s experience? Every Tet holiday we also celebrate and enjoy the arrival of spring. Everyone looks for the best flowers and ornamental plants to decorate their homes, to provide a striking visual effect and to create a feeling of freshness, helping us to look forward to a new year filled with luck, happiness and good fortune. Some of the popular flowers for this occasion are yellow apricot blossom, cherry blossom, kumquat, chrysanthemum, orchid, and narcissus. We find great joy in decorating our homes with flowers for Tet, raising our feelings as well as beautifying our homes, we also find ourselves expressing ourselves through personal tastes and communicating something of ourselves through the aesthetic of our style and decoration, in some cases hoping to mark ourselves as a connoisseur or arbiter of taste. Let us consider what flower varieties are the hottest choices in this New Year / Tet 2019? 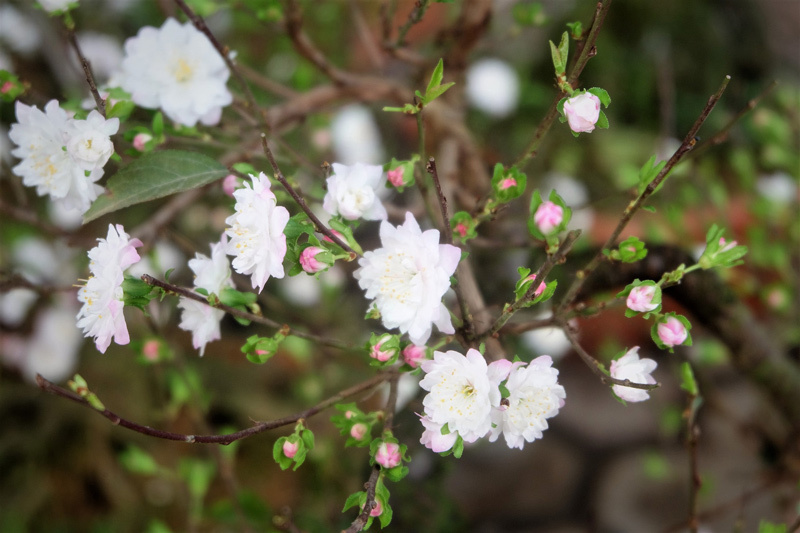 This is a kind of flowering shrub that visually combines the cherry blossom of northern Japan and the southern yellow apricot blossom. Chaenomeles japonica is also known as Maule’s quince, belonging to the rose family with a short woody bush growing to about 100 – 200 cm. The shrub is slender and graceful, rich in colour, the flowers have broad petals, grow to be evenly sized, with cleverly arranged petals 3 - 5 cm diameter. The petals open by day and close at night and can be expected to be in flower for up to 2 months. The flower shows a diverse range of colour, bright red, crimson, red-orange, red rose. When in bloom, this flowering shrub is like a red fire, symbolizing wealth, peace, virtue and the common good. 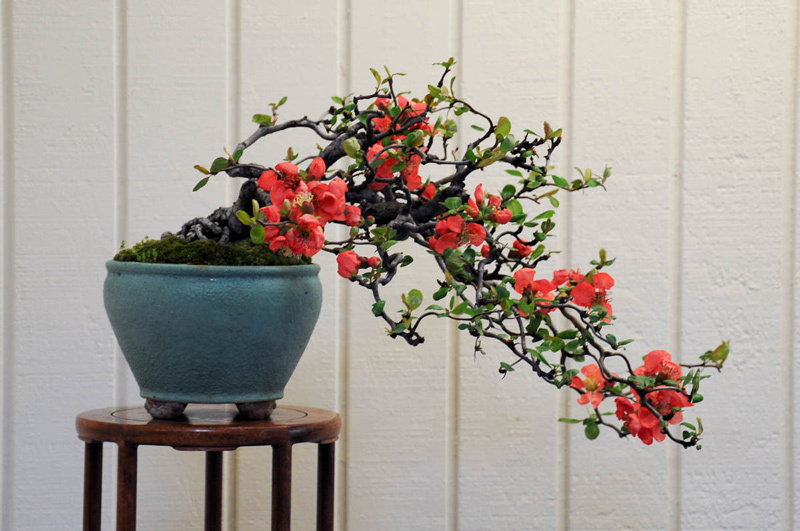 It is usually cultivated as a bonsai, and will also bear fruit. The shrub produces apple-like fruit, green until turning yellow when ripe, it appears quite like a pear, is fragrant, hard and usually sour, but it can be used to make preserves. The price of Chaenomeles japonica varies from 1 to 10 million VND depending on the shape and size of the tree. Prunus mume Sieb is a kind of white apricot blossom. It is a woody species, belonging to the rose family. The more rough and hardy the tree trunk is, the more beautiful it is considered. The flower buds are pink, but when blooming they gradually become white with very tight layers of petals. When the petals are shed, the remaining calyx (that protected the flower bud) gradually changes to red looking like a new flower, then this too falls away after a period of time, because of this, the flower has another name “twice apricot blossom” meaning that the flower blooms two times. Prunus mume Sieb symbolically represents the honourable man, for principles and values of virtue. The three most favoured silhouettes of the Prunus mume Sieb are the triangle, the straight and the slantwise. The triangle is also known as 3 elements: sky – earth – human with a large root and three branches forming the tree trunk. The straight upright appearance is straightforward, honest and strong. The slantwise is also known as the silhouette of a waterfall, leaning to one side, the shape often bending as would a tree growing on a steep mountain slope, which means reverence to the superior, the master. Most of the Prunus mume Sieb cost from 2 to 15 million VND depending on the shape, silhouette and age. Also known as Japanese Red Camellia (and has been called the Japan Rose), the flowers possess a conspicuous beauty and exude a beautiful, elegant and gentle scent (tea being a variety of Camellia). 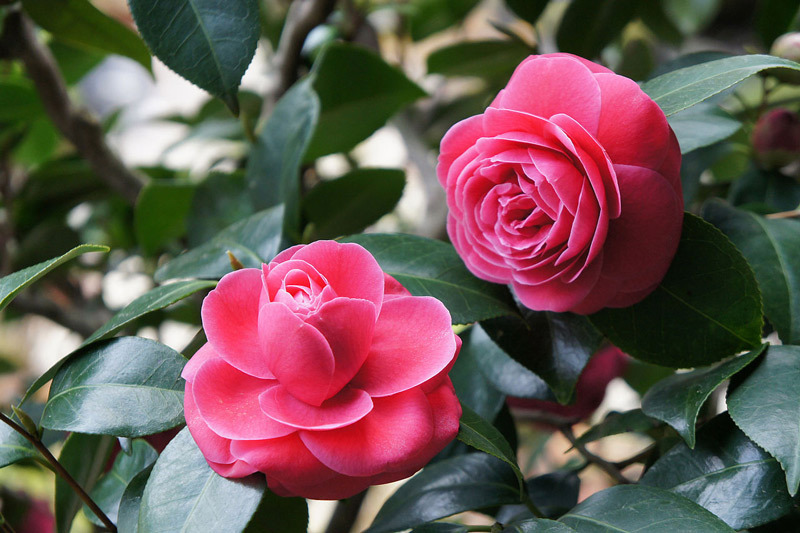 Camellia can be considered a gourmet plant with an added reward of flowers. Wherever you place the tea flower, the whole area will benefit and become refreshed and brightened as the flowers exude their wonderful aroma. Tea flowers come in many different colours such as reddish brown (deep tea), dark pink (pomegranate tea), pink rose (royal tea), white (white tea), yellow (gold flower tea) and sometimes hybrid combinations of white and pink stripes, red stripes, speckled (octagonal tea). The flowers are large and conspicuous usually with 5 to 9 petals. The Tea flowers will bloom for 5-15 days. The flowers symbolically represent perfection, loyalty, humility, dignity and grace. Flowers cost from 500 thousand to 120 million, depending on the colour of the flower and the age of the tree. The flowers are fresh and vibrant, but they do not overpower us with a dazzling feeling, but radiate our senses with a feeling of warmth. The petals are broad, curved, and gently embrace the yellow stamens, the fragrance is very light. These flowers include two varieties, one with single petals and one with dual petals. The colours are quite diverse with white, pink, dark pink, yellow, with the most popular being crimson. Blooms can last up to 20 days; the flowers are often very thick and cover trees with a high density. 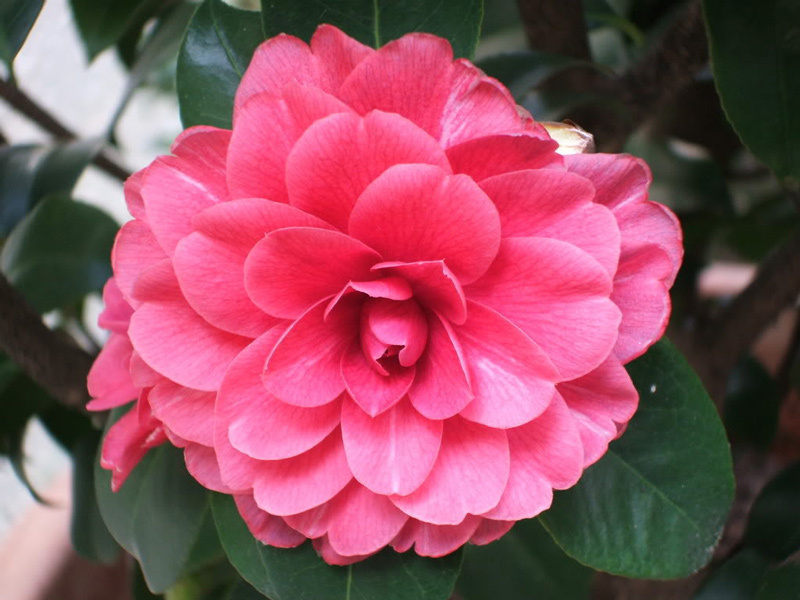 Camellia sasanqua represents harmony, joyful life and friendship of the family (in Chinese, the name of the flower is synonymous with the big house, the main house). Flowers cost from 500 thousand VND to 100 million VND, depending on the shape, age and age of the tree. 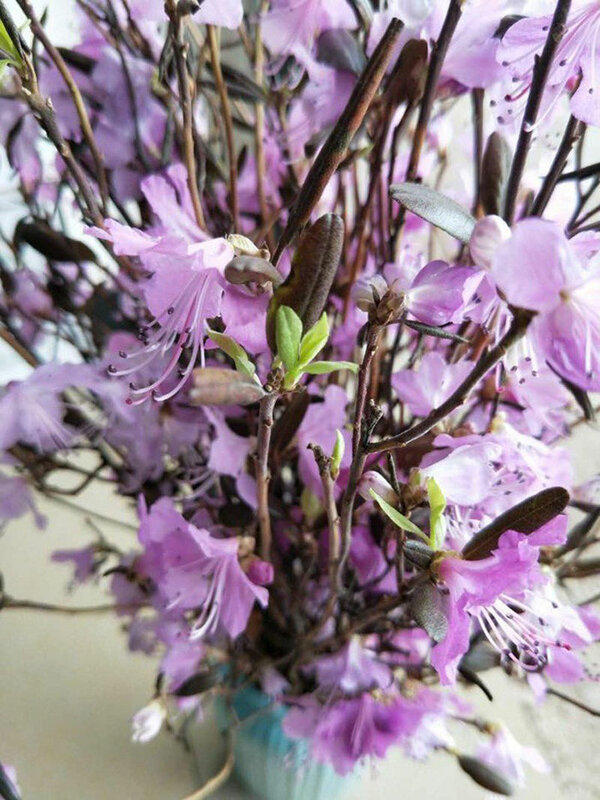 According to the ancients, the rhododendron flower is a symbol of gentleness, peace, prosperity and reunion. For some European countries, this flower is considered a symbol of glory and pride. Rhododendrons can also have another name: Azalea. Possessing a brilliant beauty with warm colours, azaleas are commonly dark red, dark pink, pink, purple, orange, white. Every time the flower blooms, it fills the space around it with vitality. An interesting aspect of the rhododendron is its hibernation, in cold dry periods the plant will reduce its water content, but the cells will remain alive, in Autumn / Fall, the tree will slowly fall into hibernation with the appearance of dry branches. When the water supply at the roots resumes, after 2 days the tree will wake and on the third day will bud and the flowers will begin to sprout. On the 7th day, the flowers will begin to bloom, and after 15 days the buds will fully bloom with brilliance. The price of hibernation rhododendron is quite low, from 150-500 thousand VND / bunch of 30-50 branches. Classic Roses are always loved for their beauty, romantic association, elegance and luxurious appearance. In addition, the number of blooms on each bush/tree is usually quite large. The rose bush also radiates a broad gentle fragrance that adds to its attraction. Classic Roses are a diverse and widely cultivated species. 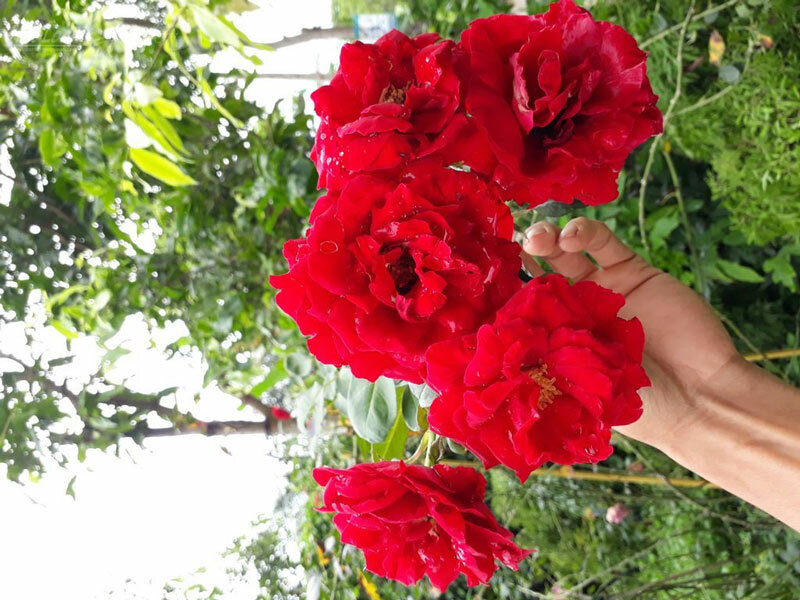 The flowers have many varieties such as Van Khoi Rose, Sapa Rose, Lipstick Rose, Bach Xep Rose or imported pink called Tree Rose, all with various colours: white, pink, dark pink, yellow, red, purple or veined stripes. Rose blooms usually last for 7-10 days, with some types of super long lasting blooms persisting for a whole month. Classic roses are priced at VND 1.5 - 250 million depending on the origin and freshness. 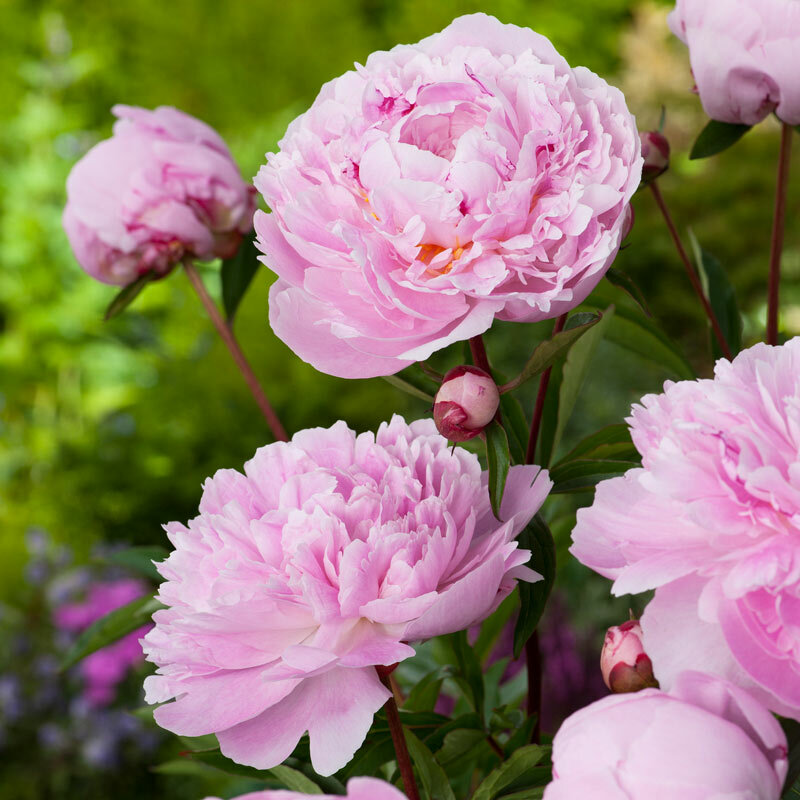 Peony was dubbed the king of flowers with a beautiful, noble and gorgeous bloom. Charming and delicate as roses, the petals are narrow, smooth, layered from the centre to the outside, giving a full shape, but the size is much larger (20-30cm) than a rose, making it stand out in every space. It also possesses a passionate and charming scent along with various striking colours such as pure white fawn, a noble and fresh pink, an attractive bright red, a charming high purple, a warm golden shine, a keen purple, and a charming pink colour to a unique reddish purple. The flower symbolises wealth, prosperity, beauty and wisdom and is a popular gift all around the world. The Peony will bloom for 7-10 weeks in suitable conditions. Peony flowers cost between VND 500,000 and VND 8 million. 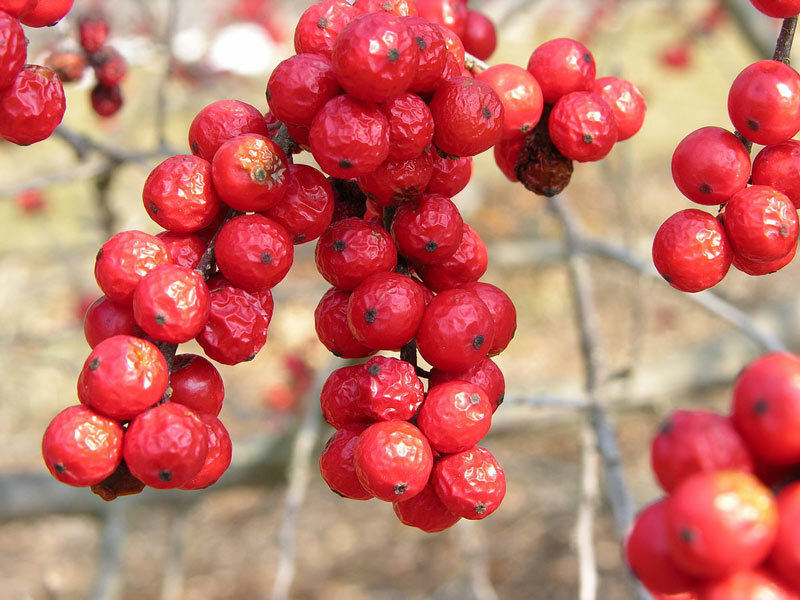 Winterberry is a shrub that grows wild in many countries such as the Netherlands, Canada, and the United States. The tree is tall, beautiful, with slender glossy green leaves, it produces small white flowers, then clusters of berries along its branches, appearing as yellow then ripening to a striking red; these berries are also a favourite food of birds. The tree is at its most beautiful in the late winter and early spring, a clear sign of the New Year. Europeans have long used the Winterberry along with other flowers to decorate and bring a feeling of warmth to the home in the middle of the cold winter season. In the climate of southern Vietnam, fruiting branches can be kept fresh for 7-10 days. If the climate is as cold as in the north, they can be kept for months. Winterberry prices are quite expensive because of their origin, incurring import and storage fees. Each branch will cost around 200-400 thousand VND, a large collection for about 5 - 50 million VND. This flower blooms in early spring; the blooms are a bright yellow colour, like the apricot blossom in southern Vietnam. However, Forsythi blooms in clusters, with the flowers clinging along the length of its long slim branches. 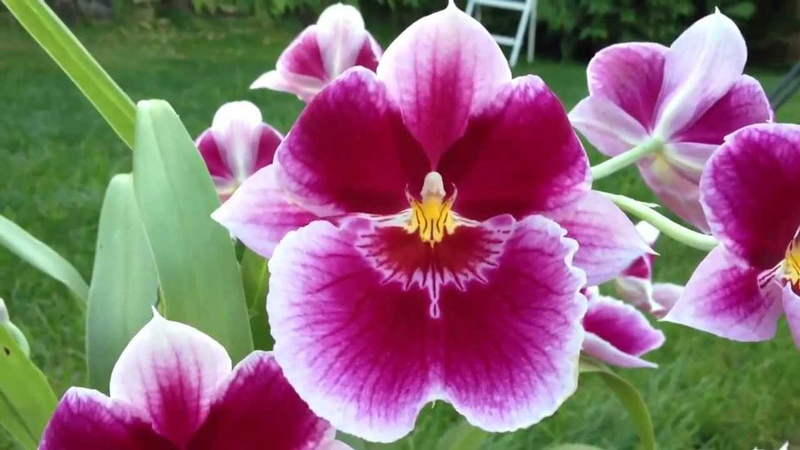 The flowers have 4 long petals stretching out to hug the pistil. The Forsythi grows as a wild-flower in many European and American countries. 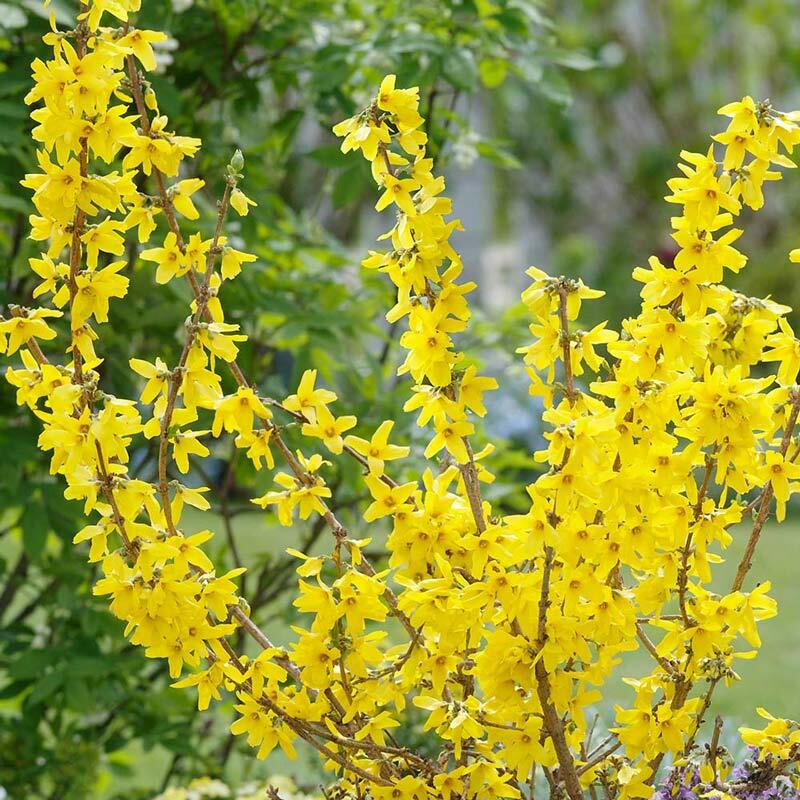 They also have the name "Easter Tree " or "Golden Rain", and are often grown as fences/hedges or in parks. The plants often shed their leaves before flowering. Each flower cluster appears to possess great intricate beauty, but close observation reveals quite a simple structure, but it remains visually dominating. The yellow colour always raises one's spirits, inspiring and bringing joy wherever they are found. The flowers can stay fresh for about 15-20 days. The prices range from 300-500 VND / branch, depending on the height. A large plant is available for about VND 4 - 15 million. The Orchid is still the first choice for many flower lovers, but the type of orchid most sought after recently is the Hybrid Orchid, even though their prices are quite high, from several million to nearly ten billion VND. The Flowers have a very distinctive appearance with different colours, diverse shapes and width of petals. There are many types of orchids such as Rhynchostylis gigantea, Dendrobium anosmum, White Dendrobium Nestor… each species having a unique appearance, in fact, all are unique. For example the Paphiopedilum parishii orchid or “mutant beard”, originated from Germany, its shape is intriguing as it appears to be adorned by two long beards, it holds the price of 4.6 million VND / plant. Dendrobium anosmum orchid is marked by broad, thick, firm but not too long petals, costing from 5 million VND / plant. Rothschild: an almost extinct orchid species with only a small number remaining in the Kinabalu region of Malaysia - dubbed the "gold of Kinabalu", blooms only once every 15 years, the flowers costing upwards from 110 million VND. To get these orchids, collectors must order a long time in advance, and sometimes there will be no guarantee that they will receive them at a given time, such are their rarity, but for many flower lovers and collectors, the investment is worth both the time and money, for them to attain the object of their passionate desire.